Landscape stone serves as one of many mulch options for use around shrubs, trees and gardens. Landscape stone differs from organic wood mulches because wood products break down over time, whereas rock mulches supply permanent cover for gardens. Applying this type of mulch layer to the landscape requires careful consideration due to the weight and cost of the material. If you've decided to use landscape stone, accurate measurement of the area ensures the correct amount of rock for your garden applications. Measure the length and width of the area requiring landscape stone. For multiple sections, break the garden down into squares for obtaining length and width. Note appropriate measurements on your landscape sketch. Measure the widest point of a curve to determine the width of an irregularly shaped garden bed. This method may result in a small amount of extra rock that can be used in other places in the landscape. Multiply the length times the width for each section to determine the square foot measurement of the garden area. For example, 10 feet by 10 feet equals a 100 square foot area requiring coverage. Add all the sections together to determine the total square feet of the project area. Decide on the depth requirement for your application of landscape stone. Most gardeners apply a 3-inch layer to a garden bed to adequately smother weeds and provide a finished look to the landscape. Convert the 3-inch depth to a fraction by dividing 3 inches by 12 inches to find the correct fraction multiplier for a foot measurement. Remember that all measurements during conversion must be the same unit. The resulting figure will be .25 foot or 1/4 foot. Multiple your area figure by the fraction to determine the total number of cubic feet of landscape stone required. To apply a 3-inch layer of landscaping stone on a 100 square foot area would require 25 cubic feet of landscape stone. 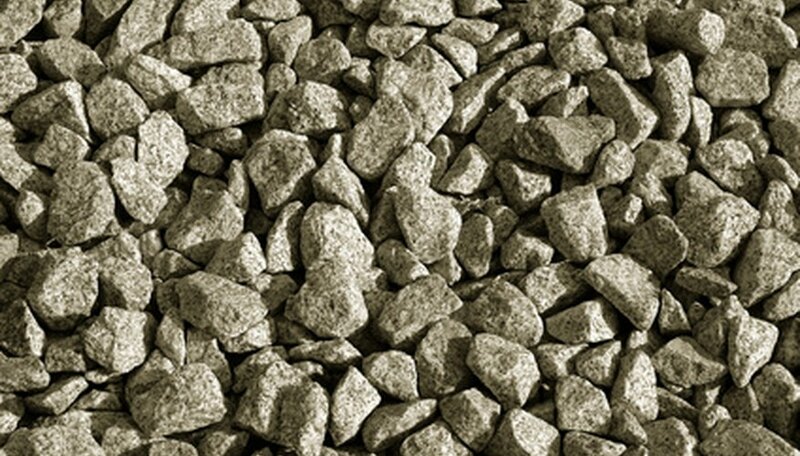 Determine whether you can buy landscape stone in bags or in bulk by the cubic yard. One bag of stone generally covers a 4-foot-square area with 3 inches of rock. A ton of rock covers a 70-foot square area to a 3-inch depth. Check measurement accuracy using the calculator provided in the Resource section.